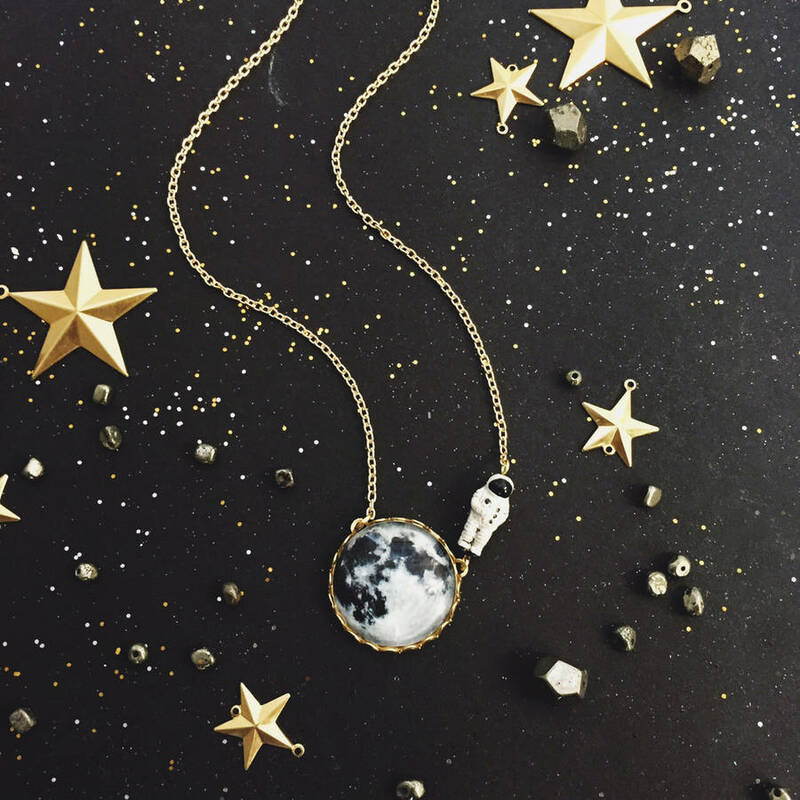 A really unique gift for her. 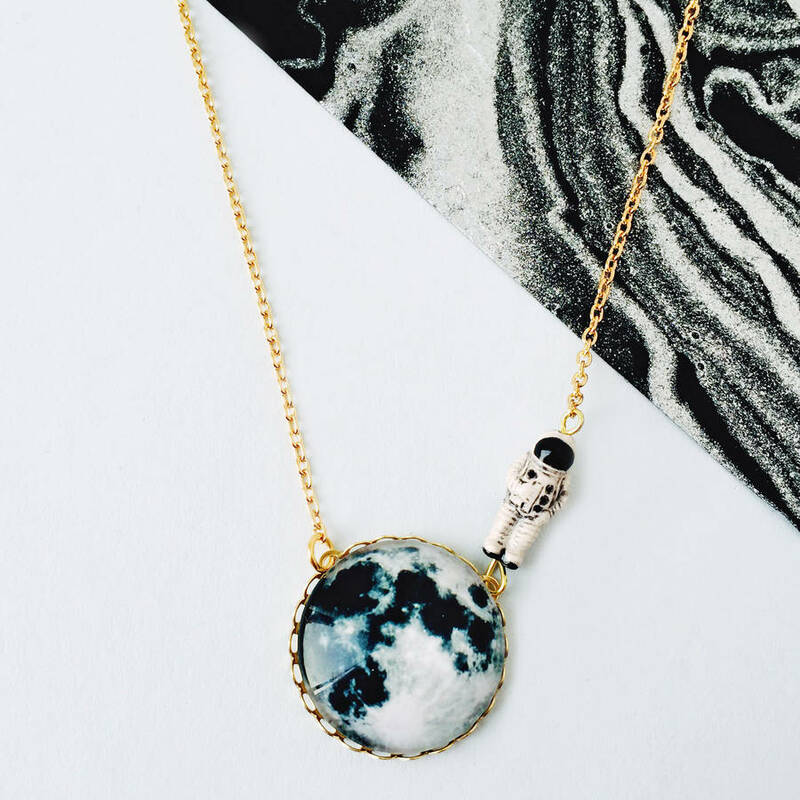 A glass Moon cabochon sees the close approach of a daring Peruvian-made ceramic astronaut. 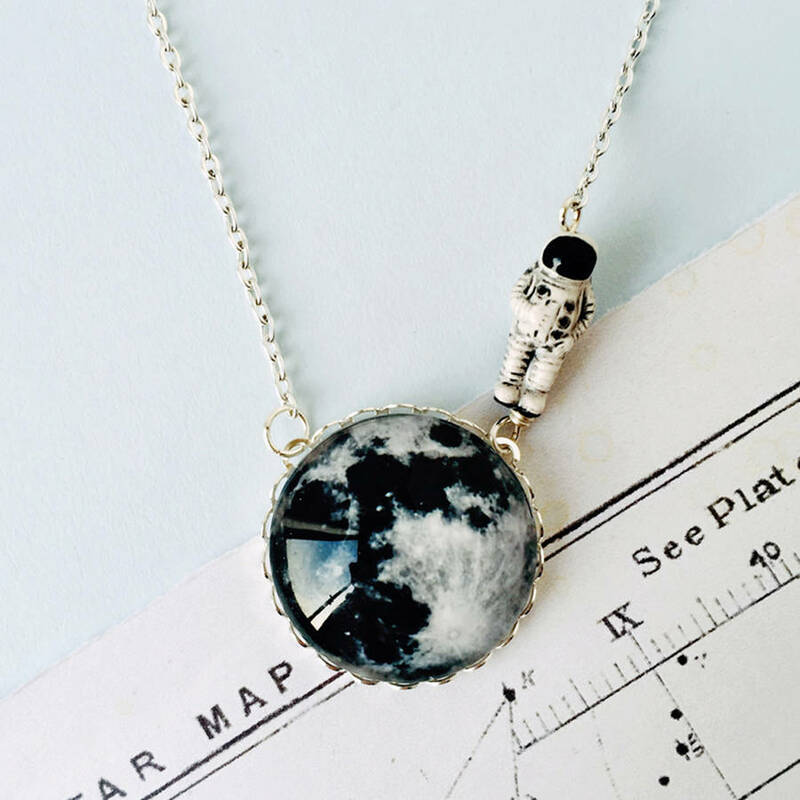 This is definitely one for the space adventurers or the science fans! 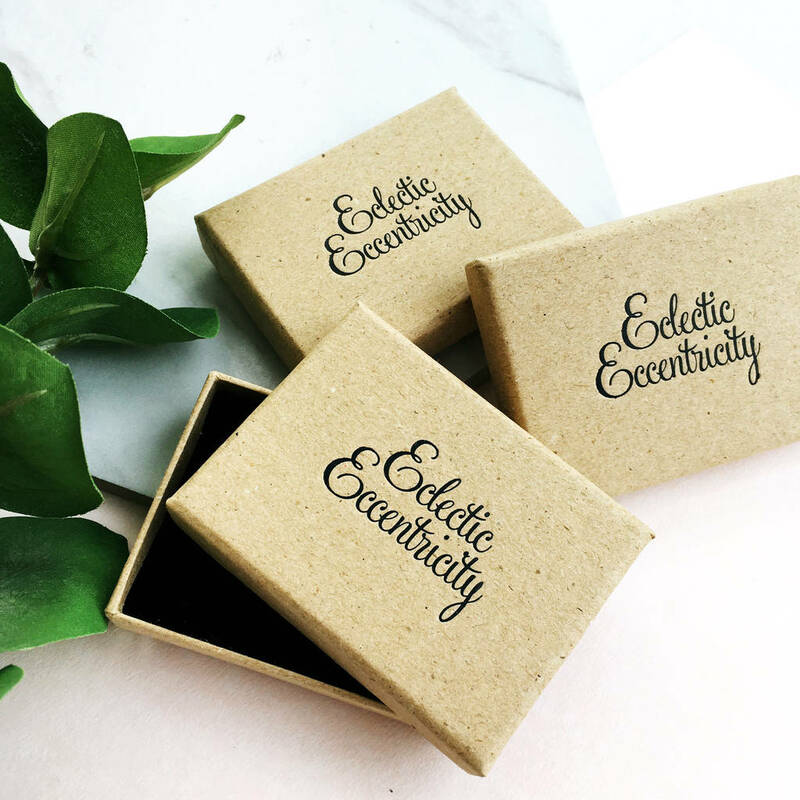 An unusual gift, this necklace comes in an Eclectic Eccentricity gift box. 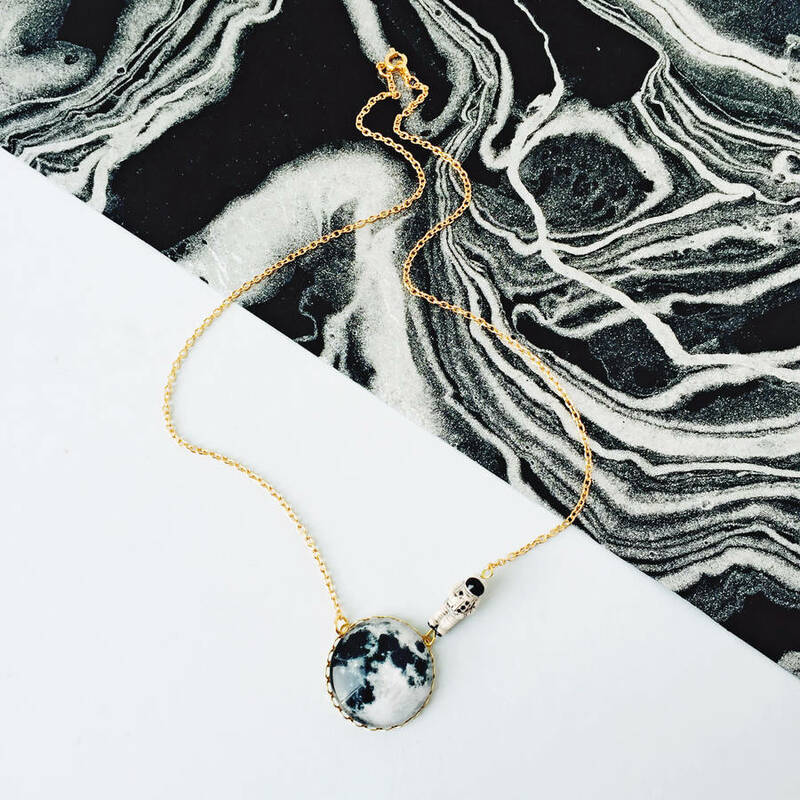 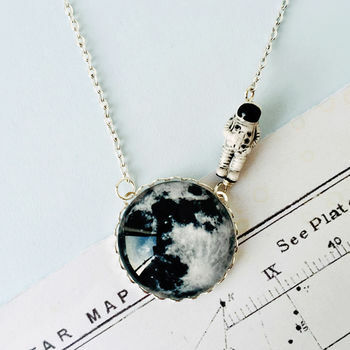 Glass moon cabochon sits in a brass or silver plate setting with a teeny Peruvian-made ceramic astronaut and hangs from a gold or silver plated chain. 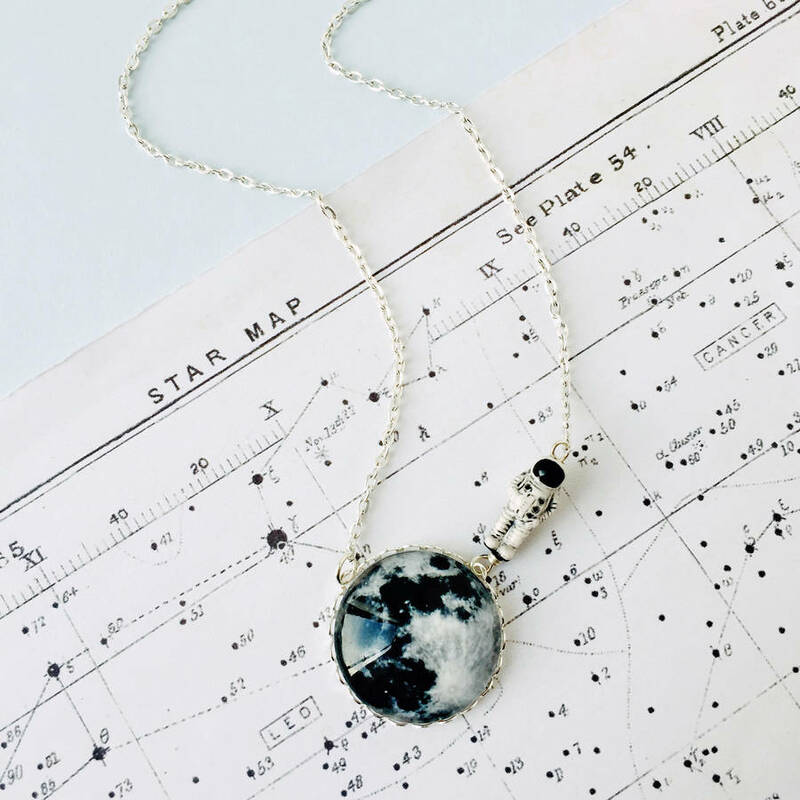 Moon cabochon measures 25mm across and hangs from a 46cm (18") chain.